Have the best looking truck that maintains uniform utility and makes any heavy duty job light work with the Ram 3500. 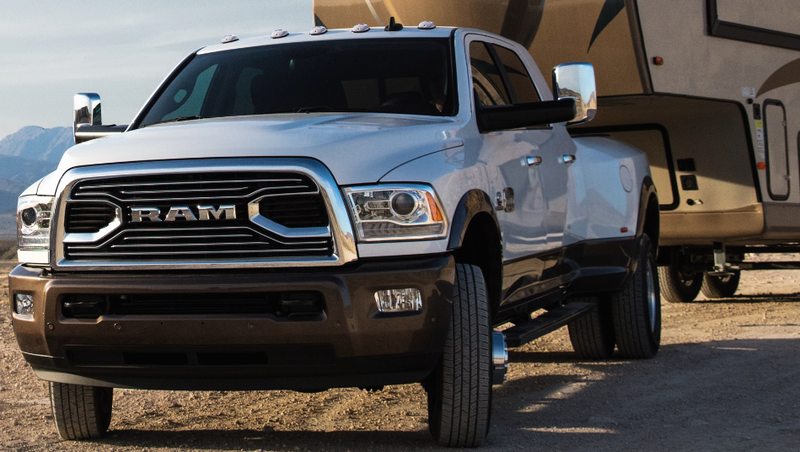 Its bold exterior showcases the new Ram look in both modified grille styles and LED head and tail lights, making the 3500 look as good as it ever has. Holding best-in-class monikers for a variety of capability features, this pickup backs up everything its strong exterior promises. Go Auto Mississauga Chrysler Dodge Jeep Ram is your Ram Mississauga choice for the best in pickup trucks. Read on and learn more about what makes the Ram 3500 an exceptional heavy duty truck. The 2019 Ram 3500 measures up as one of the best trucks in its segment. Its best-in-class diesel towing gets you up to 35,100 lbs (15,921 kg) of capacity, best-in-class diesel torque is also found in the truck with 1,000 lb-ft available. It also has a best-in-class gas payload at 7,680 lbs (3,484 kg), while the diesel engine reaches 6,910 lbs (3,134 kg). Coupled with its power, the Ram 3500 exudes luxury from the outside and in. 100% leather seating is found across the interior of the Limited and Laramie Longhorn trims, with 43.3 inches of legroom and 17 speakers, you’ll be sitting in luxury, style and comfortability. Powerful and luxurious, the 2019 Ram 3500 is redefining what heavy-duty pickups are capable of. As touched on from earlier last year, the Ram 3500 enjoys the addition of new grilles, headlights and an improved luxury interior. The 5.7L V8 engine no longer comes standard on this pickup, but instead comes with the 6.4L 8 in its place. With all the diesel power we mentioned earlier, you still can get the 6.7L diesel option. To help support all of its new and top-of-the-line power, the chassis and suspension have been updated for the new year, combing both lightweight additions with an aluminum hood and high-grade steel. The modified suspension reduces its noise in the cabin, for a more pleasant ride. 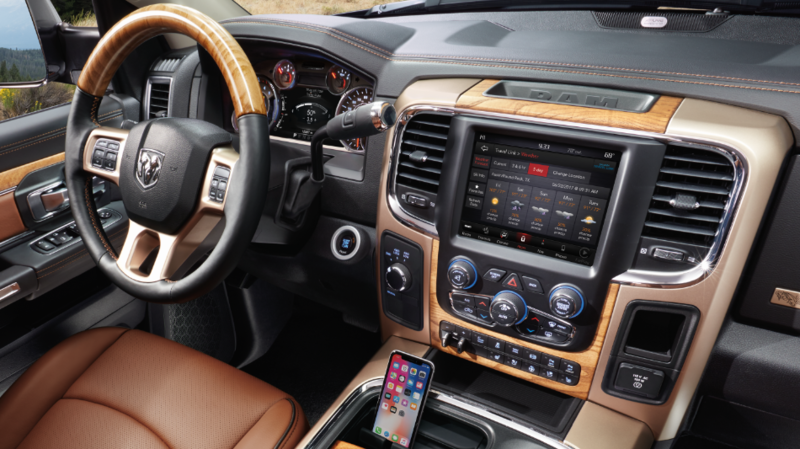 Improved for 2019, the Ram 3500 harnesses a litany of new features to be more capable and stylish than before. Five trim levels are offered on the 2019 Ram 3500: Tradesman, Big Horn, Laramie, Longhorn and Limited. Of these, a selection of cabs are available with a single cab 8-foot bed, crew cab 6-foot 4-inch bed, crew cab 8-foot bed and mega cab 6-foot 4-inch bed. The trim levels are varied to get you what you need out of your pickup. From the base level trims providing the 3500 power you need, to higher level trims with more luxury and technology options. The Ram 3500 works hard for you, no matter the trim. Go Auto Mississauga is your destination for Ram trucks, as well as the rest of the FCA fleet, including Chrysler, Dodge and Jeep. Contact our dealership for any more information.